Ian "Charlie" McParland has taken charge of <?xml:namespace prefix = st1 ns = "urn:schemas-microsoft-com:office:smarttags" />Ipswich Town on a caretaker basis ahead of Sundayâ€™s FA Cup Third Round against Chelsea. This follows the departure of manager Roy Keane. 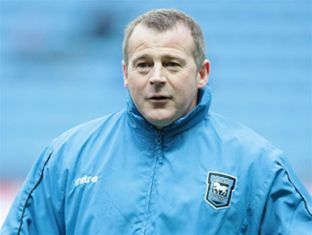 Parland has been at Portman Road for over a year as part of the clubâ€™s coaching staff after starting last season in charge of Notts County, where he worked alongside Sven Goran Ericsson for a period. â€œHaving reviewed the situation, Charlie has got management experience and he can draw on that experience at this time. He will be in charge for the game at Chelsea and until we appoint a new manager,â€� Ipswich Town chief executive Simon Clegg told the clubâ€™s website.